Collaborating partners include Action/2015, AFP Foundation, 350.org*, *Avaaz, Better World Campaign, Broadcasting Board of Governors, Business Council for Sustainable Energy, Ceres, Climasphere, The Climate Reality Project, Collectively, Connect4Climate– the global partnership program of the World Bank Group, DailyMail.com, Earth Day Network, The East African, El Pais, Enactus, Energy Future Coalition, European Foundation Centre, Fair Observer, Girl Up, Global Alliance for Clean Cookstoves, Global Citizen, Global Moms Challenge, GREEN Africa Directory, Helloasso, Impaqto, Love Song to the Earth, Make Sense, The Nature Conservatory, Nothing but Nets, Natural Resources Defense Council, Planeta Futuro, Rainforest Partnership, Rovio Entertainment, Scope Group, Sevenly, Shft.com, Shot@Life, Sister Cities International , +SocialGood, +SocialGood Ghana, Social Good Week, Sustainable Energy for All, SXSW, SXSW Eco, Test Tube, Travel +Social Good, UNA-USA, Universal Access Project, Vice News, Voice of America, We Mean Business and the X Prize Foundation. These organizations and institutions play a key role in our shared future as architects of the final solution. *350.org, a co-founder of TckTckTck, is not listed in the above press release yet is a collaborating partner, identified on the Earth to Paris Website partner page. 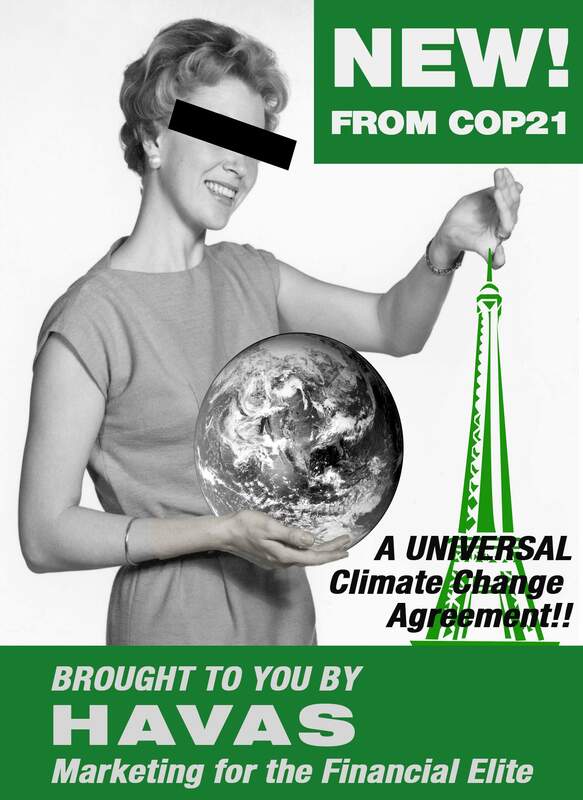 With the “celebratory” COP21 coup d’état now in place, number three has been achieved. One down. Two to go. A toast to our annihilation. It’s like the Moonies have taken over, and are standing ready to take advantage of any human calamity.